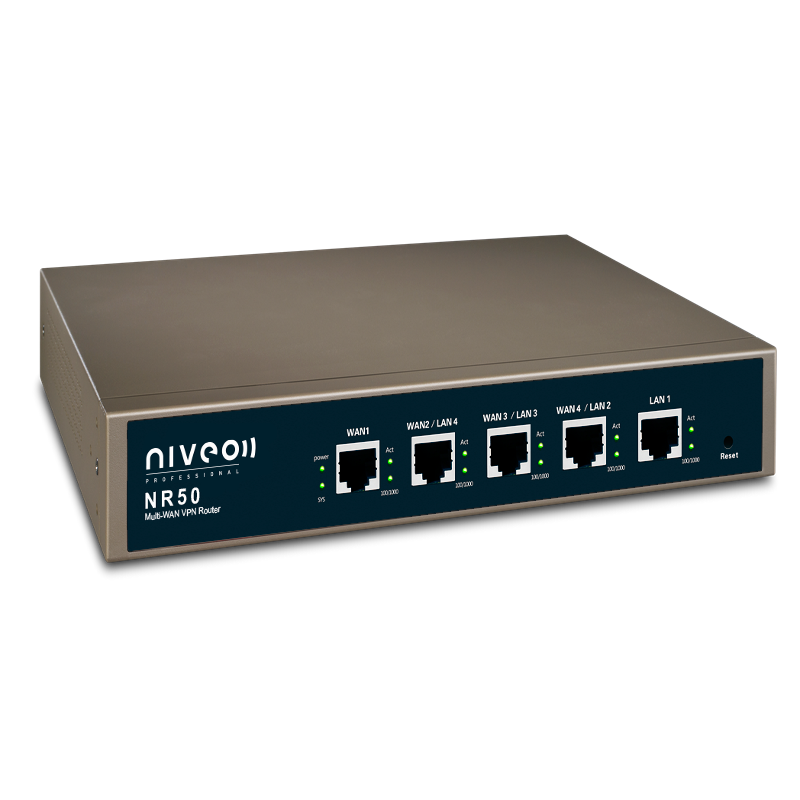 The Niveo Professional Multi-WAN VPN load balancing router was developed for managing bandwidth in advanced residential and commercial environments. The router is rack mountable. Whether it is for remote support, or branch office connectivity, the extensive VPN capabilities ensures the end-user and the installer a safe and secure connection for offering remote services or other protected data streams. The NR-70 VPN Router provides enterprise-level, highly secure and reliable connectivity to the Internet. 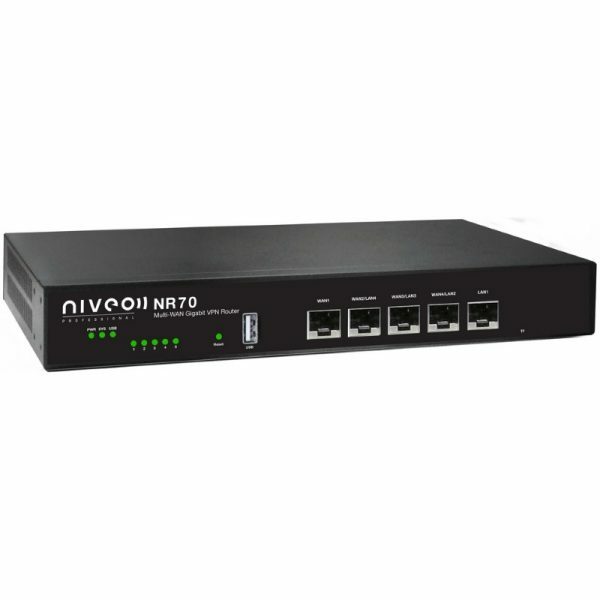 The NR-70 has 2 x 10/100/1000Mbps Ethernet WAN ports and 3 x 10/100/1000Mbps Ethernet LAN ports, which will offer multiple choices for ISP connections and real-time backup and failover and load balance. The NR-70 supports smart QoS, which automatically allocates reasonable bandwidth, making sure users can download movies and play video games at the same time. It also supports various VPN functions.